Linda Warren Smith, 71, of Bushnell, FL, passed away Saturday, October 27, 2018. She was born in Lenoir, NC to Thomas and Leona Rita Warren. 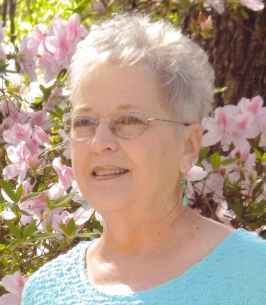 Linda was a member of Gant Lake Baptist Church and she enjoyed crafting, cooking, fishing and shopping. She was a very generous and giving person. She adored her family, especially her grandchildren and great-grandchildren. She loved singing praises to her Lord. She is survived by her husband of 31 years: James "Jimmy" Smith, III of Bushnell, FL; daughters: Shannon Woodard (Terry) of Webster, FL, Holli Young (Genesie Jackson) of Bushnell, FL; sons: Levi (Marie) Smith of Bushnell, FL, James "Jimbo" Smith of Naples, FL; grandchildren: Leigh (Jessica), Dylan, Kyleigh, Gracen, Xander, Joshua and Alexia; great-grandchildren: Madisyn and Gunner; brother: Thomas S. Warren, II (Shelly) of Jacksonville, FL and numerous loving nieces and nephews. Linda was preceded in death by her parents: Thomas and Rita Warren and sister, Gail Marco. 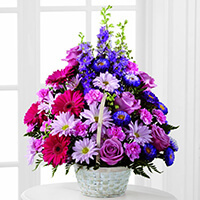 In lieu of flowers please consider a donation in Linda's memory to Gant Lake Baptist Church/ The Missions Fund. A service will be held on Friday, November 2, 2018 at 12:00 p.m. (with visitation from 11:00 to 12:00 prior to service) at Gant Lake Baptist Church, with Pastor Thomas S. Warren and Pastor Ed Button officiating. Interment will follow at 1:30 p.m. at Florida National Cemetery, Bushnell, Florida. 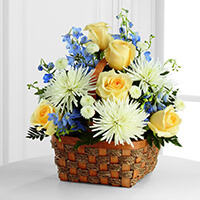 To send flowers to the family of Linda Warren Smith, please visit our Heartfelt Sympathies Store. I am so sorry for the passing of Linda, my condolences to her Family.I know too well the pain of losing a loved one and what helped me was Gods promise at Revelation 21:4-" And he will wipe out every tear from their eyes, and death will be no more, neither will mourning nor outcry nor pain be anymore. The former things have passed away.” Very soon death will done away with and we will see our loved ones again. I hope this comforts you as much as it did me. Linda was my mentor and friend. She will be greatly missed. Linda moved to Jasper for our 1965 Senior Year. Terry lived down the street in one direction and I lived down the street in another direction. We went into our Senior year in September, 1964. Her picture is spread through out the Annual of Class of 1965. We had been Facebook friends for several years. Godspeed Linda, you will be missed. My sympathy and prayers to Linda's family. Linda and I graduated from Jasper High School in 1965 although we both moved away we still communicated at reunions, Facebook, etc. She was a very good person and her faith was very visible. May God be with you Jimmy and the rest of the family. I am sure she is in a much better place. Praying for all of you.